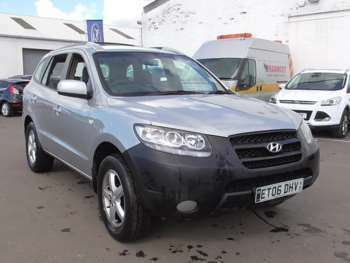 2001's Hyundai Santa Fe has never quite achieved the same impressive sales figures in the UK as it has elsewhere, particularly in the USA. When it comes to 4x4s, the British consumer seems rather set in his ways, preferring a more traditional badge such as 'Land Rover.' 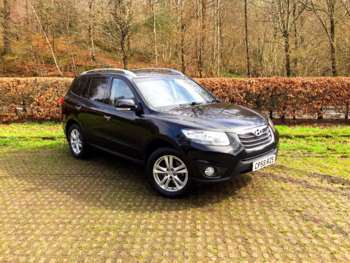 However the more open minded buyer found a competent and well built vehicle for a relatively bargain price. Materials used in the cabin aren't those found in luxury vehicles but should offer durability, while higher spec models feature leather, CD stereo and the standard electrical gadgets. 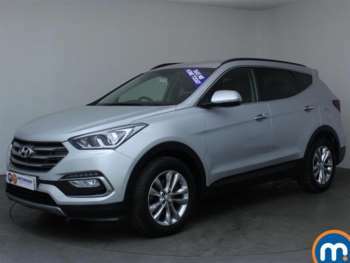 Used Hyundai Santa Fe Trim levels are designated GSi, CDX and CDX+, with specs being significantly improved in second generation models, when ESP stability control, dual zone air-conditioning, heated front seats and a multi-adjustable steering wheel were added to the CDX, with additional satellite navigation and a cooled front centre console box for the CDX+. Rather bold body styling provoked comment on the first generation models and was not universally popular, but 2006's softer and more conventional curves garnered approval. Desirable safety features, offered as an option in the first years became standard kit on later models, with impressive safety test results reflected in low insurance costs. 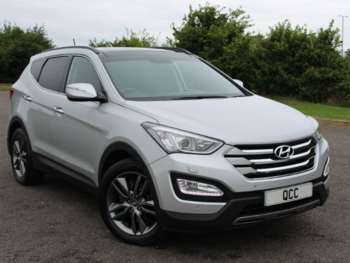 Never aimed at the top end of the market, early second hand Hyundai Santa Fe cars for sale have fallen off a cliff, pricewise. 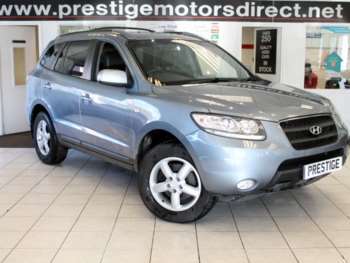 2001 X plate 2.4-litre models can be found at around £3,000, with 2.7-litre V6 versions not much more. 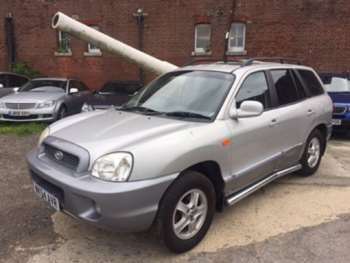 The diesels have fared better, a 2.0-litre turbo diesel from 2001 going for about £3,500. Later generation gas-guzzling petrol cars are almost non-existent, while the majority of the diesels were seven-seaters, starting at about £12,000 for a 2006 in CDX trim. 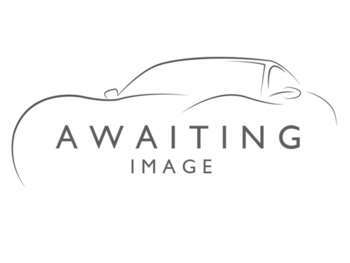 Make sure you aim for the 155bhp variant instead of its short-lived 148bhp predecessor. 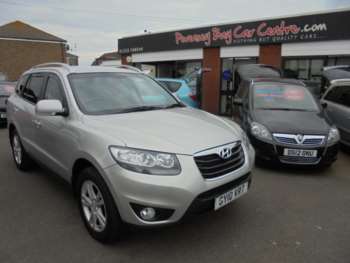 You'll pay about £500 extra for an automatic gearbox and the same for the CDX+ trim. While no specific recurring faults have been reported, check for damage caused by inappropriate off-roading and wonky tyre wear. Post 2006 models benefited from an improved engine line up, with more advanced technology allowing the diesel's variable geometry turbocharger to come alive from 1,800-2,500rpm and the petrol unit to develop a well-spaced out185bhp with Constantly Variable Valve Technology and a Variable Intake System. 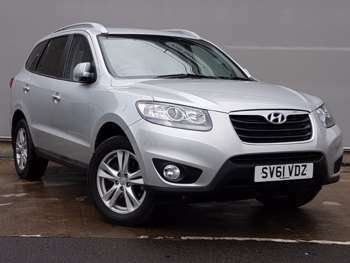 Brakes and suspension are impressive but the Hyundai Santa Fe is still a better urban warrior than country workhorse. It's a good buy for the money. 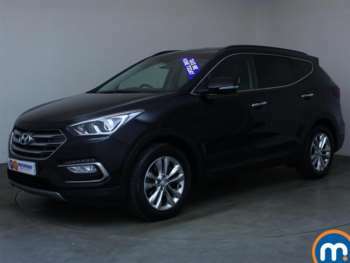 Got a specific Hyundai Santa FE model in mind?